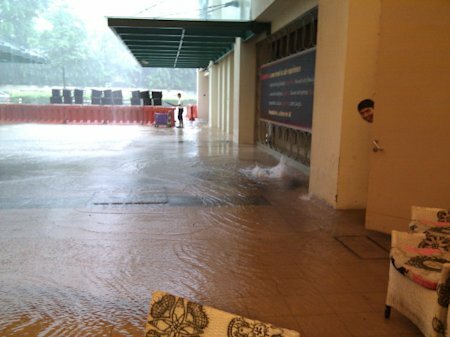 Страна азиатская - Сингапурия: Затопило нас сегодня немножко..
SINGAPORE: National water agency PUB explained that the flash floods on Sunday morning were caused by two bouts of heavy rainfall. It said this at a news conference on Sunday afternoon, which was also attended by Minister for the Environment and Water Resources Vivian Balakrishnan. The first bout of rainfall started slightly past 6am, and second downpour, which was more intense, occurred at about 10.30am. 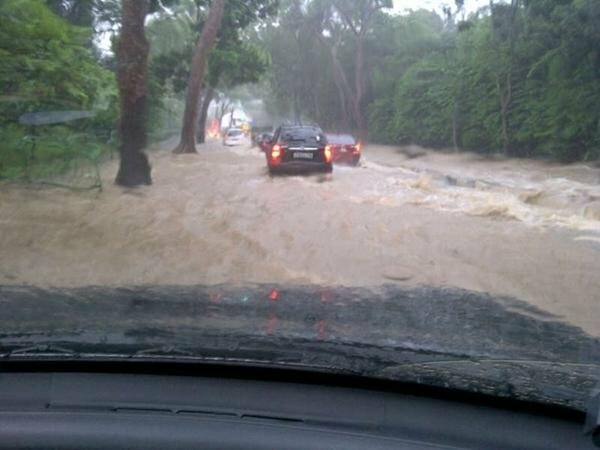 About 65mm of rainfall was recorded within 30 minutes. This was worse than the one on June 16 last year, which had 100mm of rainfall within two hours. PUB said it had mobilised staff and contractors to the flooded sites once it received alerts of heavy rain. 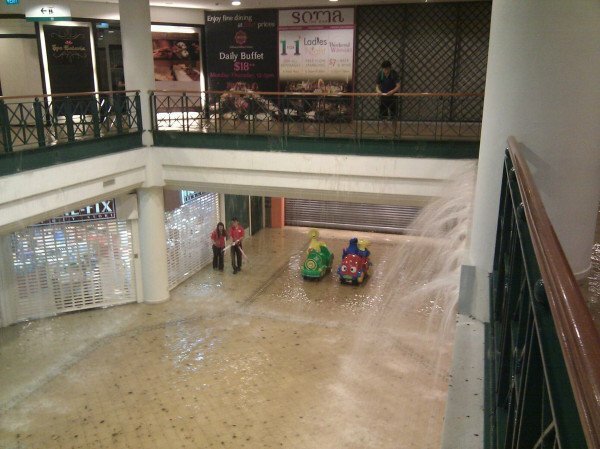 PUB also deployed tankers to affected areas to pump out the water from carparks located in basements of buildings. PUB chief executive Khoo Teng Chye said he is studying some possible solutions to prevent future occurrences.